The thought of buying a villa in Orlando, or indeed anywhere in Florida, is to many a dream, but for the fortunate few, it is the realisation of a dream or goal. But it is also one which requires very careful consideration, research and time not to mention a very disciplined attitude when it comes to the purchase price. This is the foundation of any significant purchase, and they do not come any more significant than buying a villa in Orlando. The aim of the research is to provide you with a measure in terms of what you want in an Orlando villa against what is achievable within your personal budget. When purchasing Hills Bay Hideaway, I regularly used www.Realtor.com as our single point of reference. Unlike in the U.K where estate agents have the option of advertising properties on a number of popular websites, in the U.S all real estate agents list properties for sale on this website, making it the most comprehensive and up to date online research tool available. Our Wishes List Included a Covered Lanai, South Facing Pool & View Over a Conservation Area. I would suggest that you start with a wish list made up of all of your personal needs and requirements as well as those of potential guests. 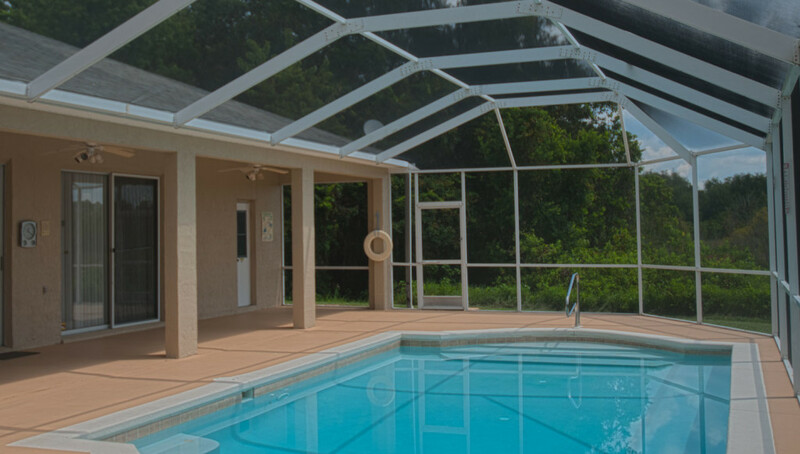 Remember the Orlando villa rental market is a very competitive one, so making your vacation rental stand out in some way from the majority of other villas is an important factor. This really needs to be done in conjunction with your research as you need to know your limit when looking at potentially suitable properties. It is a matter for you the prospective purchaser to decide the best option for you in terms of how you want to finance the purchase, but from experience, I would advocate financing the purchase from your country of residence. The reason for this is simple, you will already have an understanding of the way in which borrowing is undertaken and the legalities of it, and it also negates the need to exchange funds each month when your mortgage payments are due. Another benefit of having funds in place prior to the purchase is that you are then considered a cash buyer and as such the process of buying a Villa in Orlando is significantly quicker and easier. As for buying costs, well quite simply they are neglible as they are paid by the seller. Yes you read it right, the seller bears the majority of the total costs associated with you buying their property. The buying process in Orlando is remarkably quick with some purchases completing within 3 weeks! Unlike the U.K system of purchasing a property there are no solicitors involved, instead it is one of the roles of your realtor to lead you through the process, and safeguard you from potential pitfalls. Another difference is that you do not as prospective buyers have to use the realtor who is advertising a particular property for sale, instead you simply instruct your chosen realtor to arrange a viewing etc of a property of your choice. I would always advocate using a recommended realtor, one who is established and who has a track record of providing a high quality service. You must take some responsibility and work with your realtor. Give him/her as much information as possible with regards to what it is that you seek from your ideal villa. In my experience this results in your realtor identifying the right properties from the outset, thereby saving potentially wasted viewings of properties which are simply not suitable. The realtor my wife and I used and would highly recommend was Steve Silcock, co-owner of Bardell Real Estate with his wife Anne. Their offices are located on Hwy 192, which is where my wife and I first met Steve having corresponded with him via email prior to our arrival in Orlando. Ultimately it is the responsibility of the prospective purchasers to have done their own due diligence with regards to confirming that they are able to not only afford to buy a villa in Orlando, but also to be able to sustain it into the future, however Steve’s initial consultation included a frank explanation of the costs involved against the funds available with re affirmed our situation. Another great advantage of working with Bardell is the fact that both Steve and Anne are ex pats, although they’re have both been resident and operating within in the Orlando area for a number of years now as fully licensed realtors. 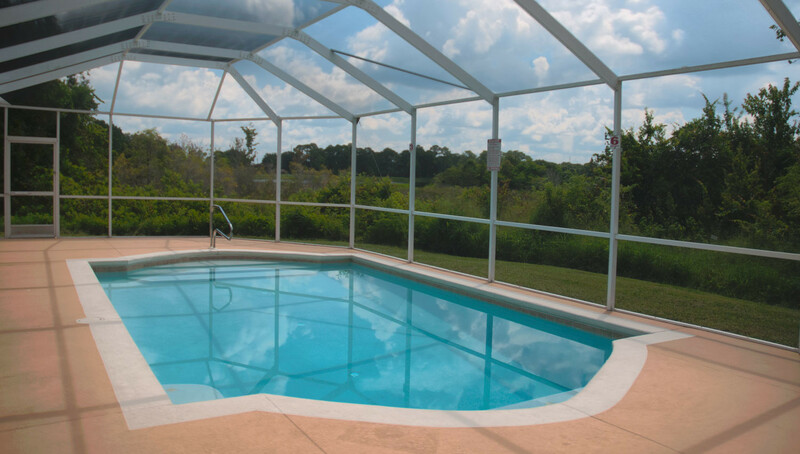 This proved vital as the meanings of some of the processes involved when buying a villa in Orlando can easily be misinterpreted. At the point when your offer is accepted it is expected that a deposit will be submitted into an escrow account. This is secure and can be returned subject to the terms and condions of the contract submitted by your realtor. Be aware that you may be requsted to provide proof of funds following the submission of an offer. Unless your mortgage provider stipulates that you must have a survey completed on the property before they will release the funds to you, this process is totally optional, however based on the climate and other conditions unique to Florida, we would strangly advise that you instruct a recommended home inspection company, or as they are known in the U.K a surveyor (which has a totally different meaning in the U.S). The name however is not the only difference, these things are indepth to the point that ours took 6 hours to complete and involved evrything from walking the roof to checking each and every tap and socket works as it should. The exchange rate is such a determining factor when considering buying a villa in Orlando. Quite simply a better exchange rate means a greater budget. and for that reason everyone wants the very best rate of exchange that they can get. We found that Curreny Fair provided the very best exchange rates by some margin without any hidden fees or charges. As part of owning your very own Orlando villa, you will need to apply for an ITIN (Individual Taxpayer Identification Number) which is basically a unique reference, very similar to the national insurance number in the U.K. This is not, nor will not constitute you being or becomming a U.S resident, it simply identifies you as a tax payer as and when the need applies. This was arranged by Bardell via a third party company Harding Bell Associates. The application process takes no more than 30 minutes although the allocation of your personal reference number can take up to 3 months. You will also need a U.S bank account, again this was arranged by Bardell Real Estate and took about an hour to complete at the local Center State Bank. Note that bank charges are more prevelent in the U.S for even simple things such as bank transfers. There are significantly fewer companies in Orlando than there are in the U.K resulting in less competition, and contrary to public belief the I.T capabilities of some companies in the U.S is lacking, resulting in an innability to create or update an account online. My wife and I physically visited each of the major service providers to complete the relevant forms which was time consuming but provided the confidence required. This final process is undertaken with the assistance of a title company which again was provided via Steve at Bardell Real Estate. The title companies role is to ensure that both parties are aware of the contract and to obtain the final signatures to complete the purchase. The funds are also processed through the title company who then provide a complete break down of all of the services provided and their relevant costs. Disney Memory Maker Free with 2016 & 2017 Disney World tickets!